We are really happy to release the newest updated stable, secured and bug fixed version of User Meta Pro 1.1.7. 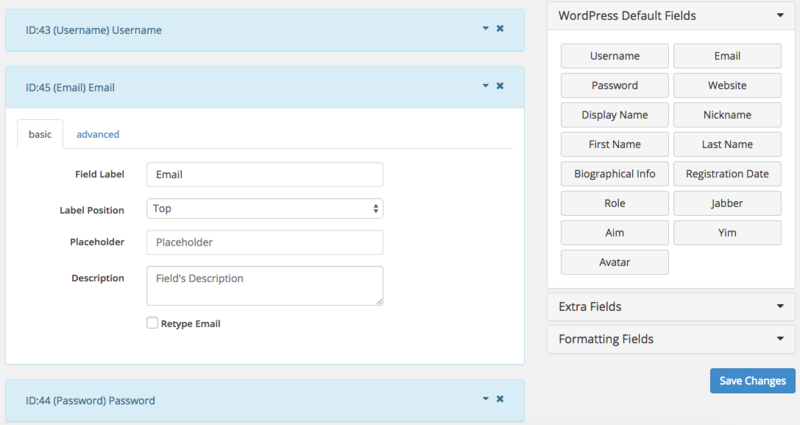 Improved and user friendly Fields & Form Editor with better outlook. Fields configurations are well organized and easy to customize. Now you have the full power to change field settings directly inside each form. So the problem with different behaviors of field in different forms is solved. You may need to use a field in more than one form with the same field settings. This newly added feature gives you the option. To do this, just make a field as a shared field. Want to show/hide a field conditionally? Use Conditional Logic. Now, you can show/hide one field conditionally depending on other fields. Add retype_label to custom field. Added Turkish and Czech translation. Added yearRange to datetime field. Profile update email for backend, track modified email. Added filter: user_meta_countries_list filter to countries list. Added regex to password field. Separate email verification and admin approval processes. Switch uploader code to admin-ajax.php. Remove html5 required validation, add html5 regex to custom field. 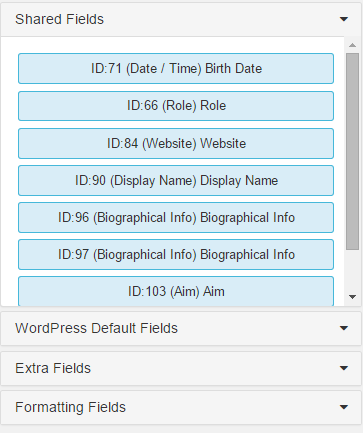 Hide extra social fields from backend profile. Remove password & email field from standard fields set. Those fields can can be used via “custom fields”. Username will remain same as email while registration without username.